Ice hockey icon Wayne Gretzky has admitted to being “pleasantly surprised” at the standard of the sport in China as build-up continues to the Beijing 2022 Winter Olympics. 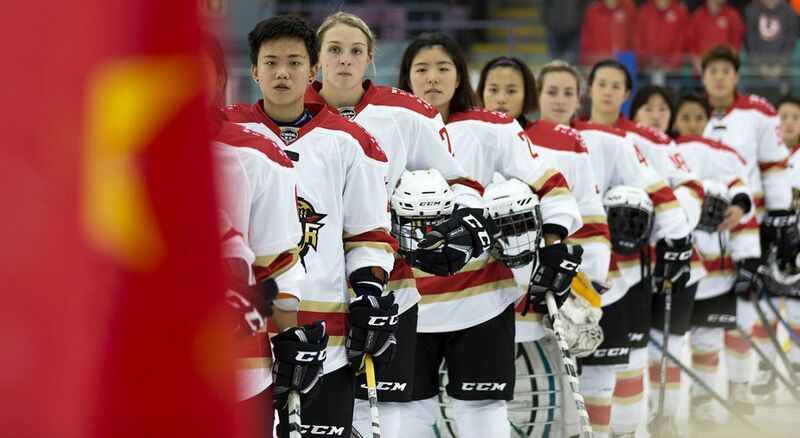 The Canadian’s comments come after he joined Chinese club Kunlun Red Star as a global ambassador in August, with a view to promoting the sport in China before the Games in the capital city. Fifty-seven-year-old Gretzky will open the KRS-Gretzky Hockey School in Beijing and Shenzhen, working with players between eight and 17. The program will potentially expand to 20 other locations over the next five years. “I’m really impressed by how nice and warm the Chinese people are, and I’m also pleasantly surprised by how much hockey there is here,” Gretzky said to Xinhua. Kunlun Red Star formed in 2016 with the mission of promoting ice hockey in China in mind – joining the mostly Russian Kontinental Hockey League. Gretzky told Xinhua that expectations for Beijing 2022 had to be kept in check. “Realistically, the best thing they want to do is be respectable,” he said. Gretzky represented Edmonton Oilers, Los Angeles Kings, St. Louis Blues and New York Rangers during his NHL career. He won the Stanley Cup four times, and was executive director of the Canadian men’s team which won Olympic gold at Salt Lake City 2002. Next articleWhere Will the Raiders Call Home in 2019?